Dr. Pratik Mukherjee, M.D., Ph.D. is an Attending Neuroradiologist and an Associate Professor of Radiology and Bioengineering. He currently serves as the principal investigator for an NIH research grant on Macrostructural & Microstructural Imaging Biomarkers of Traumatic Brain Injury and on a collaborative activity award from the McDonnell Foundation on Attentional Dynamics Consortium in Traumatic Brain Injury. 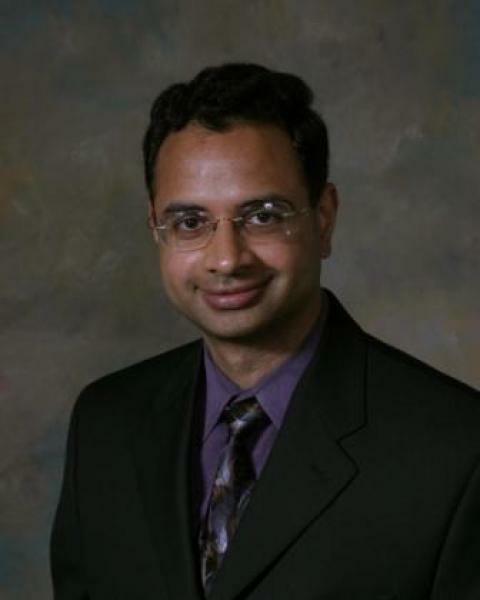 Dr. Mukherjee is a member of the California Institute for Quantitative Biosciences. Dr. Mukherjee is also an associate member of the UCB/ UCSF Division of Bioengineering. Dr. Mukherjee earned a Ph.D. in computational neuroscience from Rockefeller University and a medical degree from Cornell University. He completed a medical internship in the Cornell Medical Center at New York Hospital, and a radiology residency and neuroradiology fellowship at the Mallinckrodt Institute of Radiology at Washington University in St. Louis, MO. 1. NIH-funded cross-sectional and longitudinal clinical research studies of traumatic brain injury using diffusion tensor imaging (DTI), functional MRI (fMRI), 3D MR spectroscopic imaging, and magnetoencephalography (MEG), with correlation to candidate susceptibility genes and to neurocognitive function (attention, memory, information processing speed, and executive function). 2. Application of multivariate statistical methods, including principal component analysis (PCA), independent component analysis (ICA), and machine learning techniques, to fMRI and DTI for mapping cortical and white matter networks in the normal human brain and in human brain malformations, such as dysgenesis of the corpus callosum. 3. Development of improved DTI and high angular resolution diffusion imaging (HARDI) methodology for in vivo human brain white matter fiber tractography, with application to the graph-theoretic analysis of cortical connectivity.